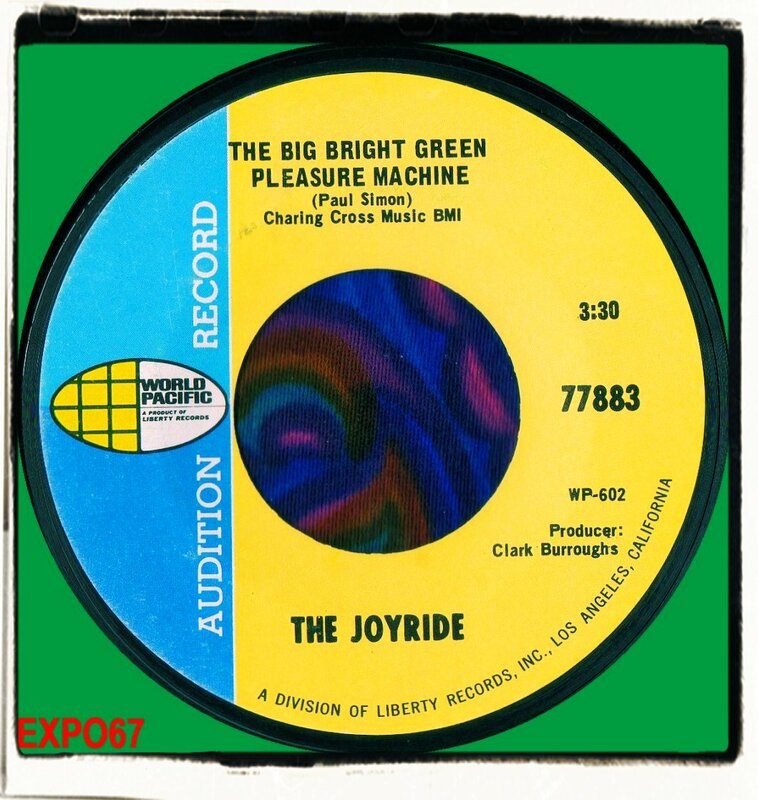 Next up for The Joyride was a cover version of 'The Big Bright Green Pleasure Machine', originally recorded in 1966 by Simon & Garfunkel. It featured on their 'Parsley, Sage, Rosemary and Thyme' album and would also be selected for the B-Side of 'The Dangling Conversation'. The message of the song was Paul Simon's cynical view of advertising but I don't think The Joyride bothered too much about pushing any particular message as their version is sweet L.A. harmony pop and perfect flower power sounds for 1968. Once again, the vocals are inspirational with some neat guitar. Clark Burroughs adds in some studio trickery into the mix. Absolute pop perfection. I don't know how this wasn't a hit. Both sides of the disc had the same song. Popadelic stuff, and bravo to Chuck's studio trickery! Reminds me of a track by a band called 'T.I.M.E.' (Trust In Men Everywhere) and a few other unsung groups that only the hopelessly hip will get to hear.